Singapore's transport operators SMRT will cooperate with the Dutch company 2getthere, to bring a car without a driver on the streets of Singapore. 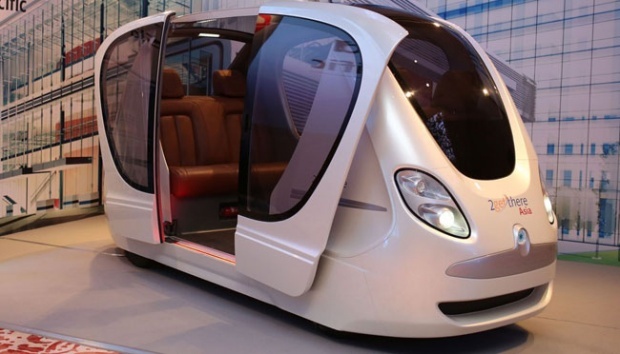 They are on Wednesday, April 20, 2016, announced it was making 24 units of the car without driver shaped pod and scheduled to operate at the end of the year. They also established a joint company named 2gethere ASIA charge of operating and maintaining vehicles there. As quoted from page Telegraph, stating 2gethere pod cars are vehicles that rely on electricity, can travel without a driver, mainly used in small streets, and artificial landmarks for navigation. Fleet is capable of carrying up to 8,000 passengers every hour on the way to anywhere. "The system (pod) basically operates like a horizontal elevator," the company said, quoted from page Cnet.com. "The vehicle will stop at each station selected as the destination and the station where transportation is requested." Cars will be very effectively used family members who will go to school and work. A business park in Abu Dhabi, Masdar City, used cars 2getthere pod made since 2010. The company has also built a similar system in Rotterdam Rivium Business Park. The park has six vehicles, each of which can contain 20 passengers. 2getthere states pod car has been used by 2,500 people every day.